Kirsten graduated from The University of Queensland in 2013 with a Bachelor of Exercise and Sport Sciences with a major in Clinical Exercise Physiology. She received first class honours for her thesis which examined the validity of a self-administered questionnaire to predict hip bone mineral density in healthy middle-aged and older men. 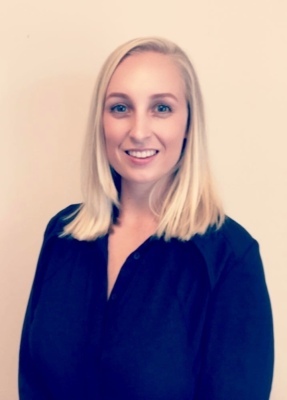 After graduating, Kirsten worked as an Accredited Exercise Physiologist (Exercise and Sports Science Australia) in a musculoskeletal and metabolic clinical exercise physiology practice. In 2015 she returned to The University of Queensland and commenced her PhD in the field of cancer-related fatigue. Her research aims to better understand the optimal intensity of exercise to improve fatigue in people affected by cancer as well as assist in the long-term maintenance of exercise behaviour. Chloe completed a Bachelor of Exercise and Nutrition Sciences, followed by a Masters of Clinical Exercise Physiology at The University of Queensland. Prior to commencing her PhD, she worked as an Accredited Exercise Physiologist (AEP) and research assistant on a number of research projects associated with The University of Queensland, Princess Alexandra Hospital and Royal Brisbane and Women’s Hospital. These projects focused on exercise prescription and adherence for a variety of conditions including peripheral arterial disease, cancer and liver transplant recipients. In 2018 she commenced her PhD at The University of Queensland in the field of exercise oncology. Her research aims to better understand long-term exercise adherence and improve quality of life in survivors of cancer.